A few photos from Jasper, Edmonton, Winnipeg and Saint-Boniface, Thompson, and Churchill, as I journeyed through Canada by train, on ‘The Canadian’, and on ‘The Hudson Bay’. 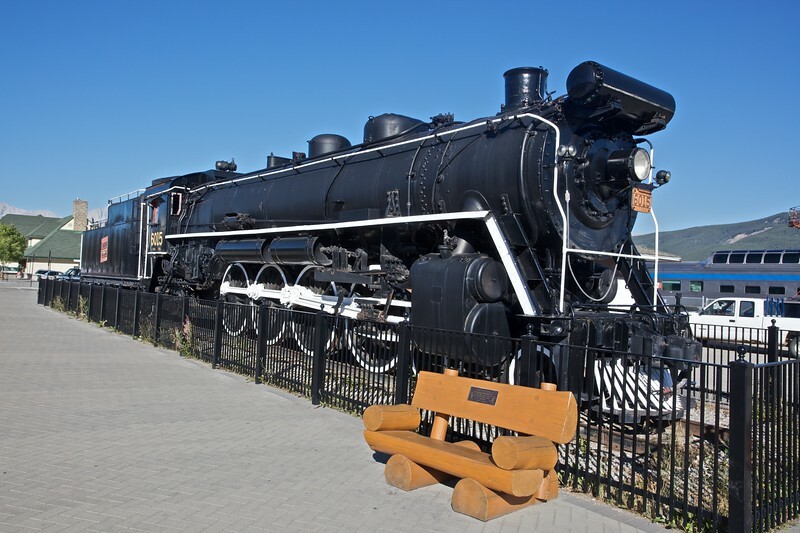 A Canadian National steam engine on display outside the railway station at Jasper, which I saw during the hour-long stop there on my way from Vancouver to Edmonton. 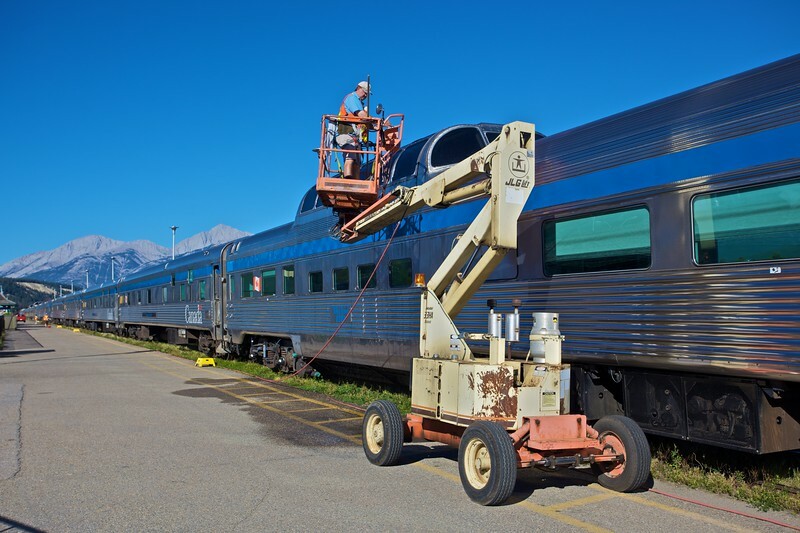 Watering the train: a Via Rail employee at Jasper washes the windows on one of the panoramic domes of the train (the Canadian ) I took from Vancouver to Edmonton, and which would continue on to Toronto. In the distance you can see some of the Canadian Rockies. 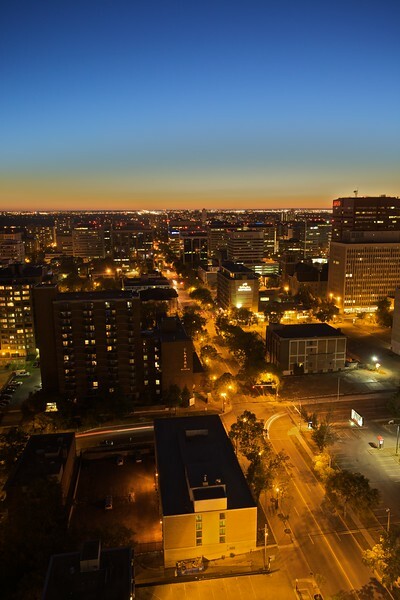 View across downtown Edmonton at dusk. It is an oft-repeated ‘fact’ that the Eskimos (the word used as a catch-all for all the peoples of the Arctic) have a huge number—some people exaggerate that the number is about a thousand—of words for different kinds of snow. A few years ago I read that that is complete nonsense. 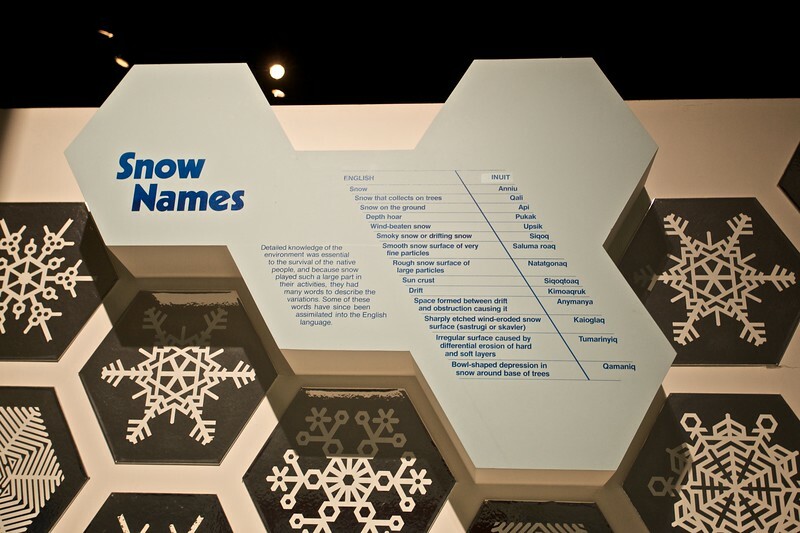 Well, according to this display in the Manitoba Museum, there are at least a few different words for snow in the Inuit language. Note that it is only the top few entries on the list, however, which genuinely refer to different types of snow: the others describe the snow’s surface (which is a separate psycho-semantic entity) and phenomena related to snow. 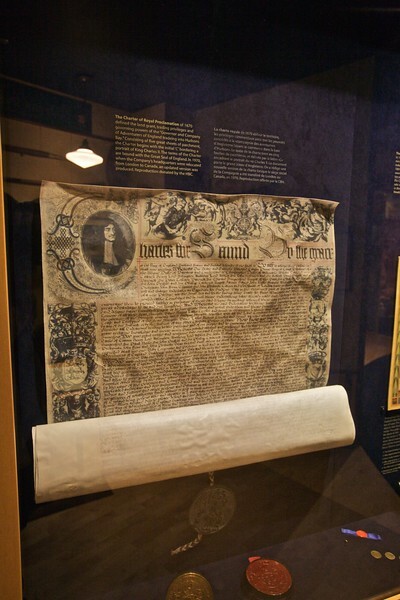 A copy of the 1670 Royal Charter which incorporated the Governor and Company of Traders of England trading into the Hudson’s Bay, which is better known by the name it soon adopted, the Hudson’s Bay Company, which still exists today. the HBC was hugely important for the settlement and exploitation of the centre and northern regions of what is now Canada (and what was then merely lands owned by the Company, including Rupert’s Land). 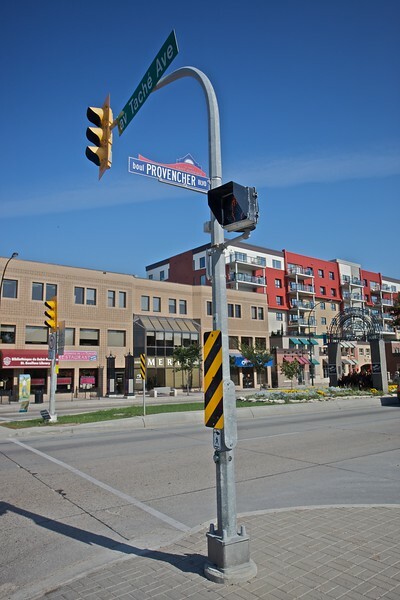 A bilingual street-sign in Saint-Boniface, which used to be a separate French-speaking city, but was incorporated into the city of Winnipeg on 1st January 1972. Note that like many such blingual signs in Canada, the word which identifies a given street is in the centre with the French designation before it and the English after it. Hence a francophone can read ‘av. Taché’ and ‘boul. Provencher’, while an anglophone reads ‘Taché Ave.’ and ‘Provencher Boul.’. 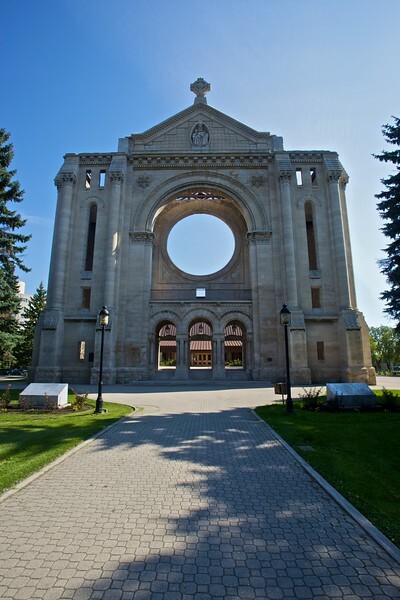 The front of the cathedral of Saint-Boniface, which was otherwise destroyed by fire on 22nd July 1968. The new cathedral, which is a concrete structure supposed to be reminiscent of a wig-wam or tee-pee, can be glimpsed through the open doorways. Œuvre du sculpteur Eugène Bénet, le monument du Poilu (nom populaire des soldats français en 1914–1918) fut donné par la France aux anciens combatants français et canadiens pour commémorer leurs camarades de l’ouest canadien tombés au champ d’honneur pendant la guerre de 1914–1918. Il fut érigé en 1931. Les noms des disparus de la guerre de 1939–1945 y furent ajoutés. Ce monument a été rénové à l’initiative des anciens combattants français de Winnipeg. This monument known as ‘Le Poilu’ (a popular name for French soldiers in 1914–1918), is the work of sculptor Eugène Bénet. Erected in 1931, it was given by France to French and Canadian war veterans in memory of their comrades of the Canadian West, who gave their life in World War I. The names of those who fell in World War II were subsequently added. 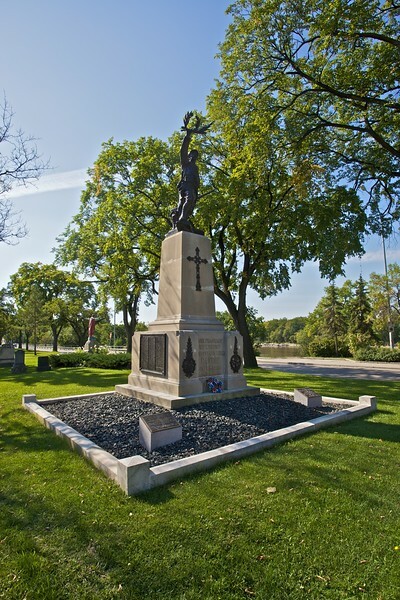 The monument has been renovated at the initiative of French veterans of Winnipeg, Royal Canadian Legion, Branch No. 15. 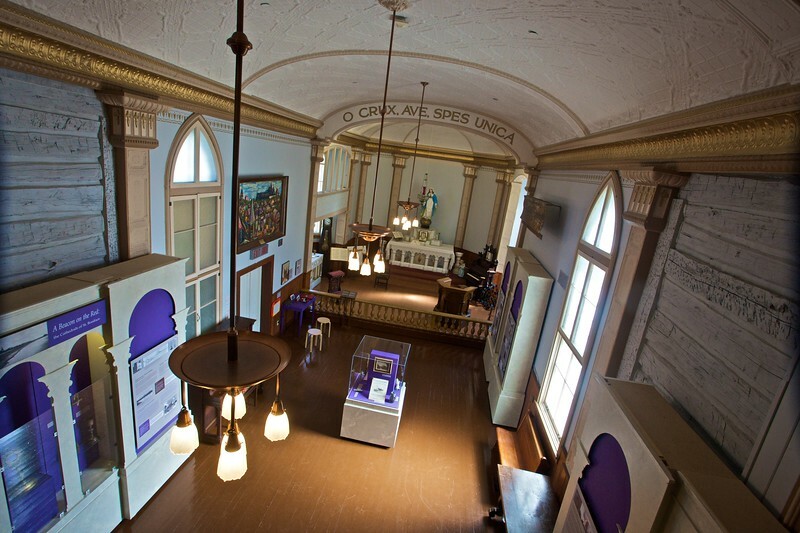 Inside the grey nuns’ chapel in Saint-Boniface: the convent is now used to contain the Musée de Saint-Boniface. 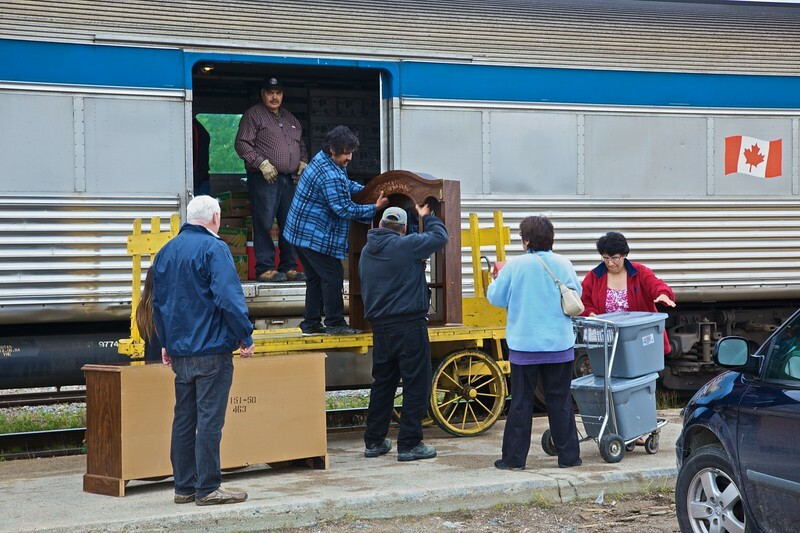 People loading furniture on to the train at Thompson, in northern central Manitoba. The train is on the Hudson’s Bay Railway travelling to Churchill, and it was only when we stopped at Thompson that anyone other than me and an American couple were let on (we had come from The Pas, further south-west). Most of the people who got on at Thompsons got off again at aboriginal villages and settlements along the route before we arrived eventually at Churchill. 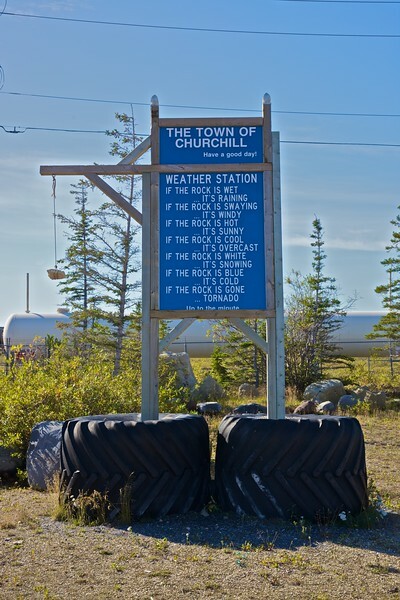 The ‘weather station’ in the city of Churchill. Evidently someone in Churchill has a very Australian sense of humour. 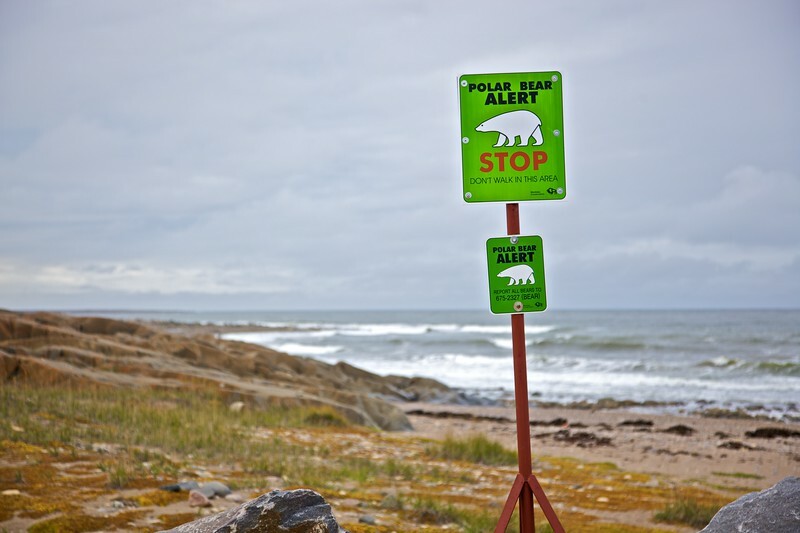 These signs are posted around the edge of the city of Churchill, which styles itself ‘the polar bear capital of the world’. Bad timing and poor organization on my part meant that I couldn’t arrange a trip on to the tundra to spot any polar bears, so I was left just looking at the signs. The water in the background is the Hudson’s Bay, which opens on to the Atlantic Ocean. The bay freezes over in November, and then the polar bears come out on to the ice. 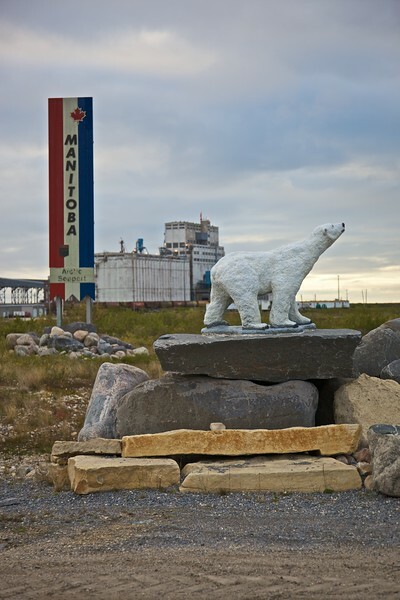 A polar bear statue in front of the Churchill grain elevators, the most prominent building in the small town (average population throughout the year of about 1000). The grain elevators are used to load grain, brought north on the railway, on to ships to be carried (with other cargo) to Montreal and Toronto, the eastern United States, and to Liverpool for distribution across the continent. Although it looks so far north and east on the map (because it is so far north and east), Churchill is the same distance from Liverpool as it is from New York: the Great Circle principles work in its favour in this regard. Birds flocking on a small lake in Churchill, just in front of the Churchill grain elevators.